A work that was produced whilst the artist was on residence at the Britto Arts Trust (a part of the Triangle Trust) in Dhaka, Bangladesh during 2006. The work is wry commentary on the failures and successes of humanities search for mental and spiritual enlightenment. 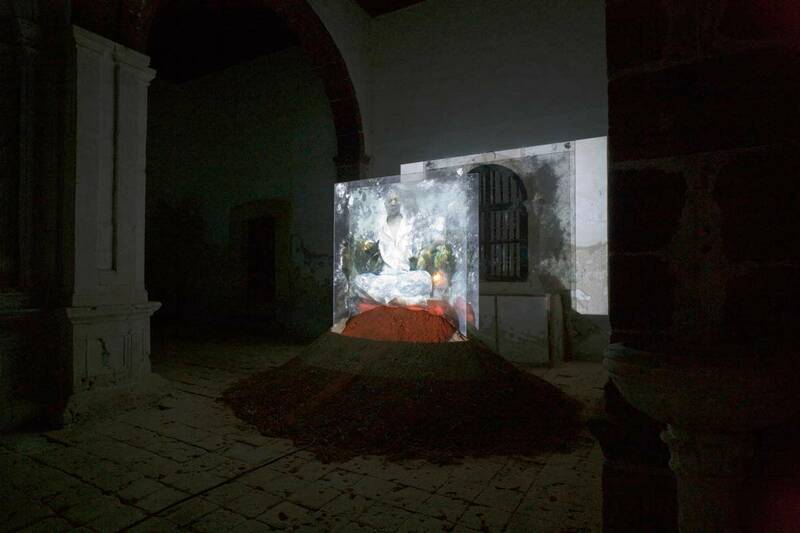 A 10 minute video loop of the artist sitting and meditating in a pose reminiscent of Buddha is projected onto the physical installation (which is comprised of a massive heap of soil out of which two large glass plates protrude). To the viewer it seems as if they are in the presence of a ghostly apparition floating just above a small mountain of soil. 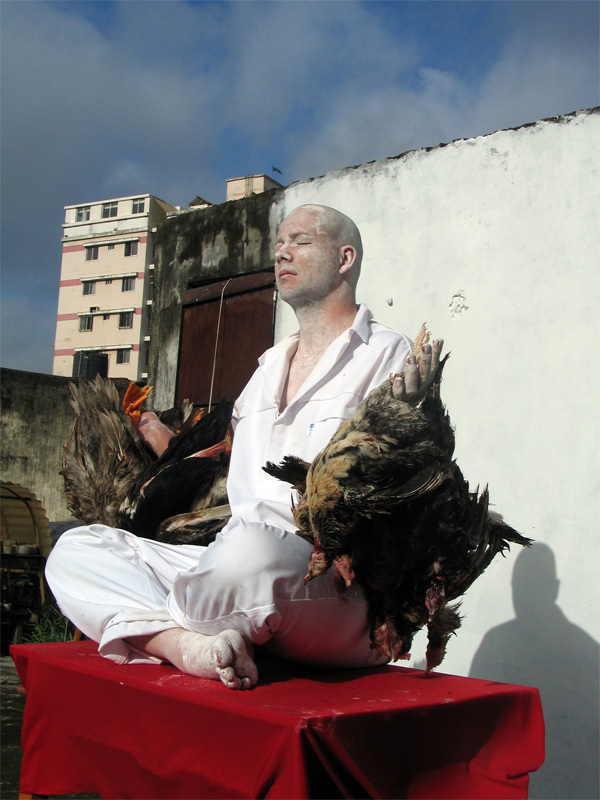 In the video Thom’s arms are progressively weighed down with the carcasses of recently slaughtered chickens and ducks until he can no longer bear the added weight and in a desperate attempt to maintain his equilibrium, he then attempts to fly by using his arms as wings. Also see the ‘Theory of Gravity‘ (2006), a performance created as response, or twin, to this piece.